Ah Monday. That cruel mistress, especially the day after the Super Bowl. Granted, I didn’t really watch it, instead focusing on the Walking Dead marathon on AMC, but I caught Katy Perry’s halftime show and the final two minutes, so I suppose I caught the best parts! Tuesday. I managed my usual four miles on the treadmill. Not much else to speak of, really, other than my shins were starting to hurt. All this treadmill running is really cramping my outdoor fitness, and the give in the belt is causing problems. Wednesday. 7×400, with warm-up and cool down for an even four miles. I’m trying to be good with my speed work this season. Last season I stopped in March or April, and I think that hurt me in the second half of the year. I kept the pace strong, between 7.9 and 8.5. Not bad, though I’ve always done faster outside. Wednesday started my PMP classes at work, which lasted three days. These were intense, hard days full of early mornings and late nights. And so, I didn’t make it to run or strength train Thursday or Friday. The shame! Saturday. Fun day! I did six miles outside, with a nice negative split (each mile was faster than the last, with the final mile about 20 seconds faster than the first). 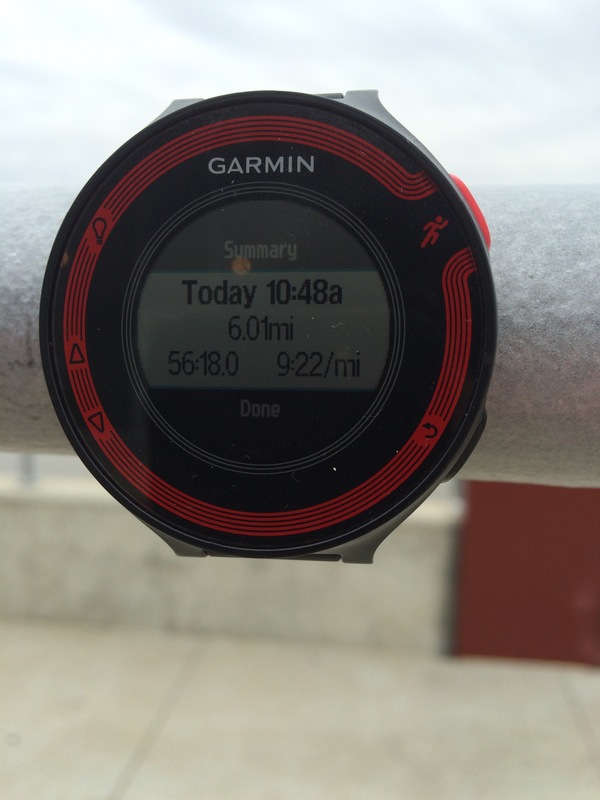 Good pacing and I felt good during it. Afterwards, I rested for a bit before making food and getting cleaned up. I had to run across the street to my friend’s condo for a bit of a beer tasting. 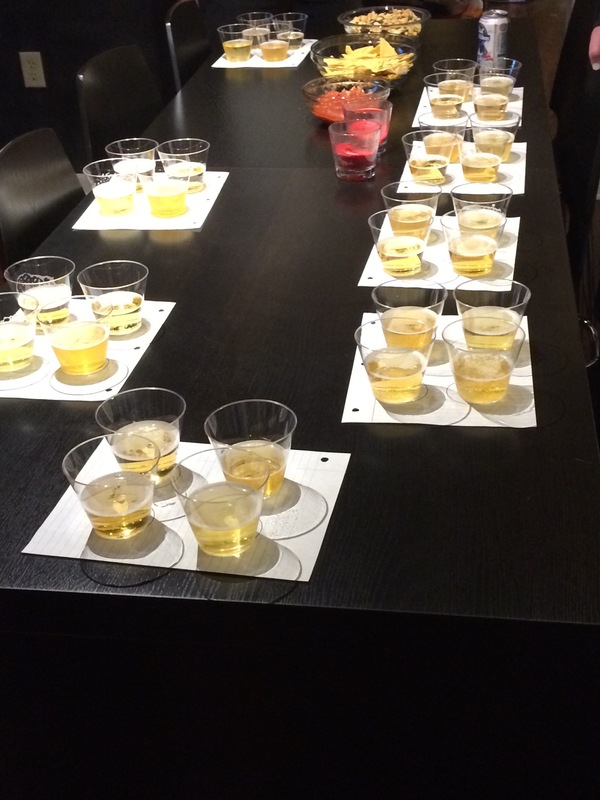 In addition to the different ones they had made, we also had a light beer blind taste test. I’m proud to say I got the first two correct, and mixed up the last two. Eh, yummy, eh, and ok. It was definitely fun, though, and a bit of a change from the norm. On Sunday, I made French toast and sausage links for brunch, then we started the marathon, forgetting the Super Bowl for a bit. Oh well, like I said, I caught the best parts. This entry was posted in Health & Fitness, Running by JB. Bookmark the permalink.